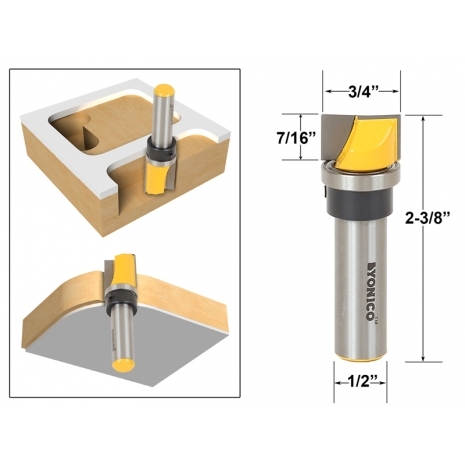 Yonico 14171 Mortising Router Bit will route clean cutouts for hinges or other shallow cutout projects. Shank bearing ideal for use with a hinge template. Center meeting blades leave behind a perfectly clean routed area. Two flute carbide cutters with 1/2" shank.